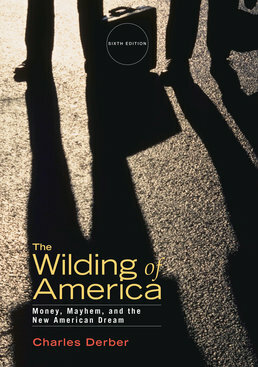 Asking you to take action, Wilding of America starts out exploring the out-of-control individualism spreading across the United States before offering inspiring ideas of how you can fight the wilding crisis at home, in school, and in our everyday life. Offering a hopeful vision of how we can all make our world a better place, the book covers the most current instances of wilding by universities, athletes, and the entertainment industry, global sweat shops, the Obama administration, the Occupy movement and much more. Charles Derber is professor of sociology at Boston College and former director of its graduate program on social economy and social justice. 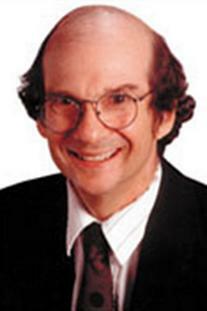 He is a prolific scholar in the field of politics, economy, international relations, and U.S. culture. He has written 17 internationally acclaimed books and several major research grants, as well as hundreds of scholarly articles, magazine essays, and newspaper columns. Derber’s books include Capitalism: Should You Buy It? (With Yale Magrass; Paradigm Publishers, 2014); Sociopathic Society (Paradigm Publishers, 2013); Hidden Power: What You Need to Know to Save Our Democracy (Berrett-Koehler, 2005, translated into Korean), a bestseller in South Korea and nominated by the Independent Bookstores of the United States as one of the three best current affairs books in 2005; People Before Profit: The New Globalization in an Age of Terror, Big Money, and Economic Crisis (Picador, 2003, translated into Chinese, German, and British English); Corporation Nation (St. Martin’s Press, 2000, translated into Chinese); The Pursuit of Attention (Oxford, 2000, translated into Polish); Power in the Highest Degree (with William Schwartz and Yale Magrass, Oxford, 1990); Greed to Green (Paradigm Publishers, 2010; translated into Korean); and Marx’s Ghost, (Paradigm Publishers, 2011, translated into Chinese, Korean, and Tamil). Derber espouses a public sociology that brings sociological perspectives to a general audience. Derber lectures widely at universities, companies, and community groups, and appears on numerous media outlets. His op-eds and essays appear in The New York Times, Newsday, The Boston Globe, International Herald Tribune, China’s People’s Daily , Truthout, and Tikkun, as well as other newspapers and online media, and he has been interviewed by Newsweek, Business Week, Time, and other news magazines. He speaks frequently on National Public Radio, on talk radio, and on television. His work has been reviewed by The New York Times, The Washington Post, The Boston Globe, Boston Herald, Washington Monthly, and numerous other magazines and newspapers. Derber is also a life-long activist for social justice. In the spirit of the great sociologist C. Wright Mills, he believes in the responsibility of intellectuals to speak truth to power and to match words with action. Derber is married and lives in Dedham, Massachusetts. He has a beautiful wheaten terrier named Mojo, who lives up to his name.